such a person that I describe as a brahmin. so suci so ca brahmano. Truth and the Dhamma is pure; he is a brahmana. 1. sacca: the Four Noble Truths. 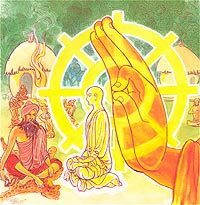 four Maggas, the four Phalas and Nibbana. a brahmin ascetic who wore matted hair. To increase the cap on subsidized cooking gas cylinders. Dismal ratio between gas dealers and consumers in the state, is badly affecting adequate supply of LPG cylinders on ground. update their LPG consumer connections. Minister for Consumer Affairs and Public Distribution (CAPD) has to confirm this. State government must be concerned about the problems that people are facing due to new LPG policy. the Prime Minister and ask for special concession for the people. There is no shortage of LPG in the state.However due to verification process people are not able to get cooking gas. Companies keeping in view fluctuating crude oil prices. moral courage to get back power projects from NHPC. and the LPG distribution system easy and smooth. The price of cooking gas (LPG) has been hiked by Rs. cylinders per household in a year. The Oil Ministry had yesterday issued orders raising commission paid to LPG dealers from Rs. 25.83 per 14.2-kg cylinder to Rs. 37.25, government officials said. For the consumer, subsidised LPG in Delhi will now cost Rs. 410.42 per cylinder, up from Rs. 399. Officials said the commission paid on market price or non-subsidised LPG too has been raised by Rs. 12.17 to Rs. 38 per cylinder. Accordingly, a non-subsidised LPG cylinder price will go up from Rs. 883.5 to Rs. 921.5. The bribery bug seems to have bitten the online registration for ration cards in the city. bio-metric details of the ration card seekers. family and Rs 5 for each additional member. A reality check showed that these centres, mostly cyber cafes, were taking the applicants for a ride. are only two members in her family. members was limited to four. of the family with a size more than four. irregularities at the service centres in their jurisdiction. as well as at the nearest ration shops, he said. The food department has identified 160 service centres in the city. THROW OUT THE PRESENT DARBAR AT THE CENTRE AND ALL THE STATES AND HAND OVER THE MASTERKEY TO BSP FOR EQUAL DISTRIBUTION OF WEALTH TO ALL SECTIONS OF THE SOCIETY FOR PEACE, WELFARE AND HAPPINESS. as a brahmin worships the sacrificial fire. 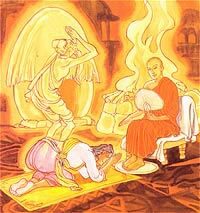 the one who found the true dhamma first should inform the other. quoted a short stanza connected with the Four Noble Truths. is the doctrine held by the Great Samana. through, Upatissa attained Sotapatti Fruition. much more striving to achieve perfection.